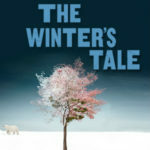 Folger Theatre’s The Winter’s Tale presents Shakespeare’s magical story of love, loss, and the bonds of family through time. Actress Katie deBuys (Hermione) keeps a very special copy of this play in her dressing room—the one her grandmother used in college. She spoke to us about this cherished volume and what Shakespeare meant to her grandmother. This is the Yale Shakespeare that belonged to my grandmother, Judith Gravely. You can see in the front that she has written the classroom number and building for her Shakespeare class that she took at Vassar, and her little notes about when certain things happened—she notes that 1610 is The Winter’s Tale. This was a two semester Shakespeare course that she took over a whole year. Since she graduated in either 1938 or 1939, we’re pretty sure that she took this class her Junior year of college, so either ’37 or ’38. She was actually an economics major, but this Shakespeare course was by far the most impactful class that she took in her college career. And it engendered a life-long love of Shakespeare that she carried with her for the rest of her life. She came back a lot to a quote from Macbeth: “Sleep that knits up the raveled sleave of care.” That was her favorite, favorite, favorite Shakespeare quote—my dad remembers her saying it quite a bit. I have the full set she used. She obviously gravitated slightly more to the more famous plays—Romeo and Juliet has a lot of marginalia; The Winter’s Tale has some interesting marginalia, though a bit less. 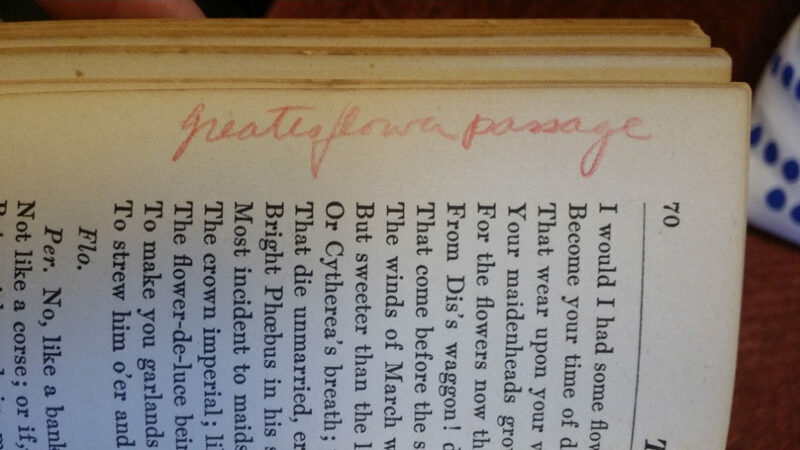 In Act 4, she wrote “great flower passage” next to a conversation between Perdita and Florizell. I go back to her copies of the plays because it’s fascinating to see her writing. There’s so much humanity in Shakespeare, but it’s telling to see what someone responds to enough to make a note. You wonder where the person was when they had the urge to mark the page. 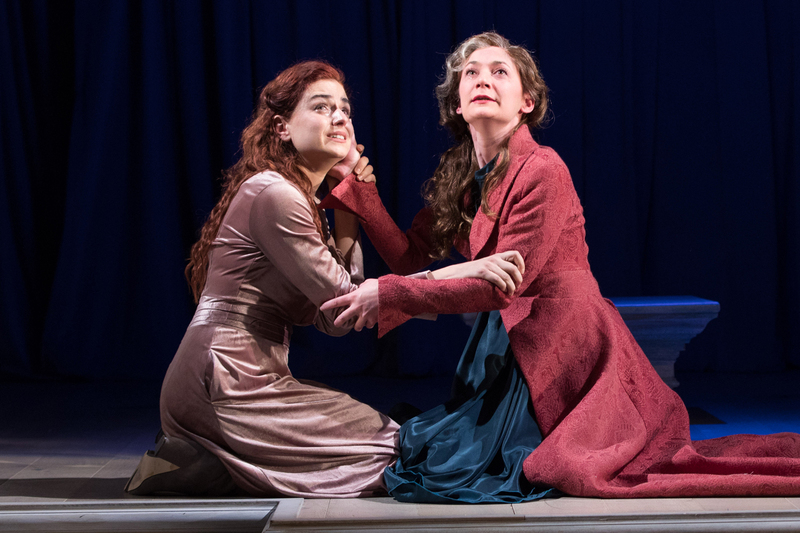 Perdita (Daven Ralston) and Hermione (Katie deBuys), The Winter’s Tale, 2018. Photo: Teresa Wood. The play is very much about family, so I think all my family is kind of in the performance somewhere. I didn’t know my grandmother very well, truth be told. I grew up in New Mexico and my Dad grew up in Baltimore, which is where my grandmother and my grandfather lived when I was a child, so we really only saw them once a year, twice a year at most. She passed away when I was a teenager. I know her best through my Dad, and through reading her marginalia in these books. Hermione (Kate deBuys), The Winter’s Tale, 2018. Photo: Teresa Wood. Katie deBuys’ grandmother’s copy of The Winter’s Tale and deBuys’ script. 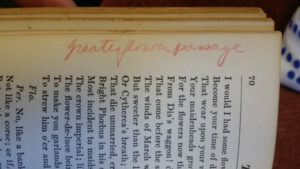 As for Grandmary’s copy of The Winter’s Tale? It’s sitting right at my dressing room station for all of the run to keep her there, for good luck and to keep the spirit going forward. Thanks to Katie for taking the time to talk to us! 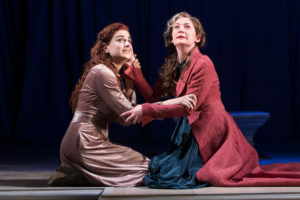 Get your tickets to see Folger Theatre’s The Winter’s Tale before it closes April 22. For tickets and more information, visit us online or call the Folger Box Office at 202.544.7077. Directed by Aaron Posner; scenic design by Luciana Stecconi; costume design by Kelsey Hunt; lighting design by Jesse Belsky; sound design by Patrick Calhoun.